He was speaking in Al-Azhar University in Cairo, widely regarded as the leading world center for Islamic learning. Sisi was a little known general when he was appointed over the heads of fellow officers in 2012 as commander of the Egyptian army by then President Mohammed Morsi of the Muslim Brotherhood. The religiosity of Sisi was said then to have been one of the reasons for the choice. However, when a popular uprising broke out the following year, Sisi swiftly ousted Morsi from power and brought charges against him, including conspiring to commit terrorist acts together with Hamas and other Islamic groups. The Muslim Brotherhood itself was banned. 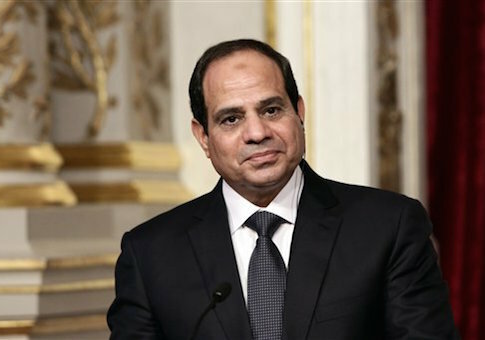 When new elections were held last May, Sisi, now a civilian, won a resounding victory. Although the Muslim Brotherhood and its Hamas supporters have been Sisi’s principal targets since assuming power, his talk made it clear that his concern over radical Islam extends to the entire Muslim world, particularly adherents of the Islamic State, and the non-Muslim world beyond.